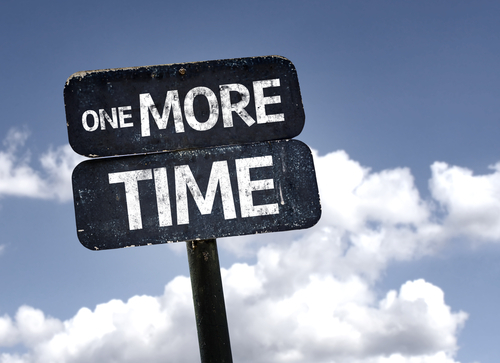 I don’t typically repeat topics in this blog. However, I am making an exception this time. This is the third post related to the use of the Minimally Viable Product (MVP) concept with Medical Devices. Recently, I had an email exchange with a potential client where they informed me that they were pursuing an MVP and they didn’t need any marketing support at this time. I may write a post about how that may be misguided thinking if there isn’t a Marketing Mindset in the company. Marketing Mindset will be the subject of a future post as well. That e-mail exchange triggered an emotional response within me. I offer this post because I feel compelled to. The Universe woke me up at 3:00 am last night to inform me that my mission in life demands that I caution inventors, scientists, engineers, entrepreneurs, investors and product marketers that are involved with product commercialization where human safety or health is at risk, that the MVP concept can be misinterpreted. 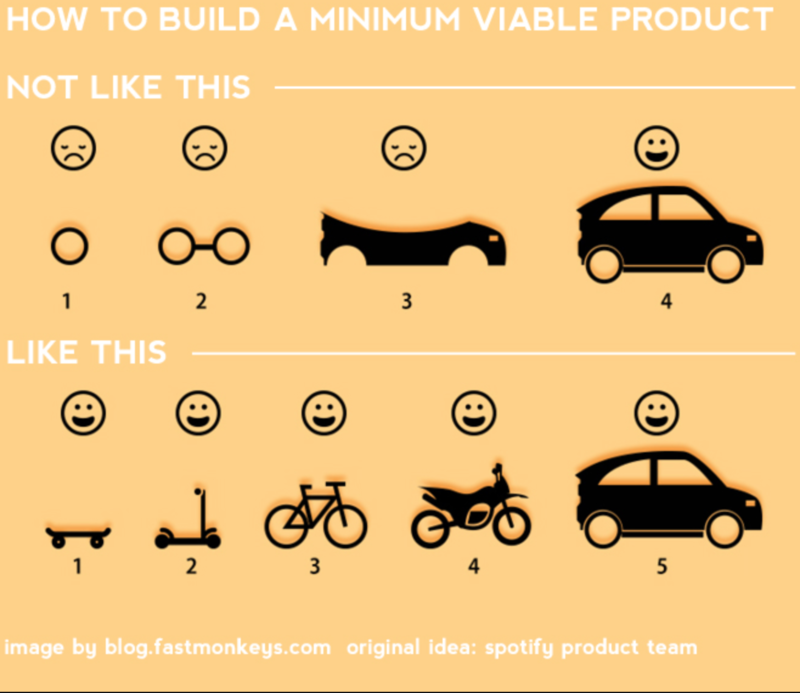 MVP is a useful concept as defined by Eric Ries; “A minimally viable product is that version of a new product which allows a team to collect the maximum amount of validated learning about customers with the least effort.” I am sure that there are many industries where this definition can be applied directly. It seems particularly applicable to entertainment sectors, like video games. I strongly recommend that everyone who is using that term, reflect on if it is a thought construct that is appropriate for his or her market sector. In the example above, the first set of drawings do not provide full utility. The second example does. This concept applied to medical devices gets at the need for complete clinical utility™ (CCU™). For me, what I have come to believe is the concept of safe, complete clinical utility (CCU) is the way to think about the first product to be launched by a company or a technology platform in the medical device space. In the medical device space or any space where human lives are at risk, we should never strive for a minimum of anything. I have found that the long-term success of any product results from maximums, maximum utility, maximum compliance, maximum clinical evidence, and maximum safety. If you want to use a hot buzzword like MVP in a high-risk space, then I think it will be worth your time to define the scope of “Viable” for your product. It will show the clinicians, investors, and patients that you understand where their health is concerned that Viable is a big word and includes, regulatory compliance, safety, and complete utility. If you must put the acronym on a slide, then do it this way – mVp. For those of you who are involved in the acquisition of technologies or products that can present a risk to humans make sure you do more than financial due diligence. Be intentional about your technical and clinical due diligence as well. If you are new to M&A activity, hire a coach who has been there and done that. I have seen first hand the results of poor clinical and technical due diligence. Large follow on investment in the millions of dollars, months of delays, failed launches, investors losing confidence in management teams, negative impact to the brand, and of course worst of all, a patient injury that may result from truncated due diligence! 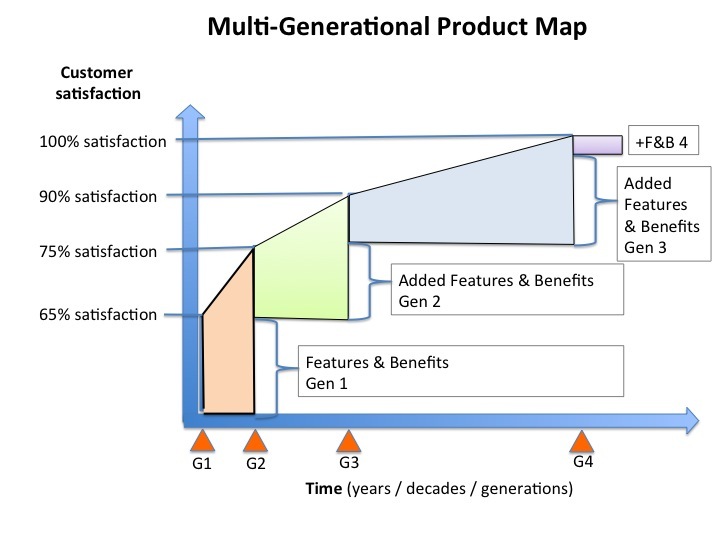 What I believe is that if you have and apply a Marketing Mindset™ to product commercialization you will think in terms of multi-generation product releases that move you toward 100% customer satisfaction. Words matter, using a popular buzzword implies knowledge of the thoughts behind the term. Don’t be caught unprepared or leave an opening for misinterpretation.